A constitutional crisis has been precipitated with President Sirisena purporting to remove Prime Minister Ranil Wickremesinghe and purporting to appoint Mahinda Rajapaksa MP as Prime Minister on 26 October 2018. The appointment of the Prime Minister is now governed by Article 42 (4) which states: “The President shall appoint as Prime Minister the Member of Parliament, who, in the President’s opinion, is most likely to command the confidence of Parliament.” Ministers, non-Cabinet Ministers and Deputy Ministers are appointed by the President only on the advice of the Prime Minister, vide Articles 44, 45. The power of the President to remove the Prime Minister, a Minister or a Deputy Minister was taken away. A provision similar to former Article 47 (a) does not now appear in the Constitution. A Minister or a Deputy Minister can now be removed only on the advice of the Prime Minister, vide, Article 46 (3) (a). In such a situation, it is absurd to argue that the Prime Minister can be removed by the President at will, especially as former Article 47 was expressly repealed. None of the above three situations have occurred. In fact, a motion of no-confidence brought against the Prime Minister was defeated by a comfortable majority of 46 votes on 04 April 2018. Nothing has changed thereafter. Even on the 25th and 26th of October 2018 several Bills, Orders and Resolutions presented by the Government were passed and these included the Finance Bill, a Money Bill. However, there is no specific provision in the Constitution, in either the Sinhala or English versions, that empowers the President to remove the Prime Minister. In the absence of such a specific provision in the Constitution and the repeal, by the Nineteenth Amendment, of the specific provision that was in the original Constitution, it cannot be said that the President can remove the President at will. As such, the words “removal of the Prime Minister” in the Sinhala version of Article 48 (2) can only be interpreted to mean the removal of the Prime Minister upon Parliament rejecting the Statement of Government Policy or the Appropriation Bill or passing a vote of no-confidence in the Government. Any other interpretation would be against the wishes of the People expressed at the Presidential Election held on 08 January 2015 and the intention of Parliament in adopting the Nineteenth Amendment. Sri Lankan courts have consistently held that the Interpretation Ordinance has no application to the interpretation of the Constitution. The latest case is the Opinion expressed by the Supreme Court in SC Reference 01/2014 on 10 November 2014 when President Rajapakse requested an opinion on whether he could run for a third term under the Eighteenth Amendment. A Full Bench of the Supreme Court unanimously held that the argument that the Interpretation Ordinance applies to constitutional interpretation was erroneous. The Supreme Court stated that the dicta of Sri Lankan courts shuts out the applicability of the Interpretation Ordinance and referred to the decision of the Supreme Court in SC Reference 03/08 where S.N. Silva CJ, Amaratunga J and Ratnayake J held that the constitutional provisions stand at the zenith of the normative triangle. The Court also referred to the case of Peter Attapattu v. People’s Bank, reported in 1997 Sri Lanka Law Reports volume 1 at page 208, where the Supreme Court stated that where a contrary position is found in the Constitution vis-à-vis the provisions of the Interpretation Ordinance, the constitutional provisions prevail. The Court also referred to several judgments of foreign courts and a statement by Retired Chief Justice Sharvananda in his book ‘Fundamental Rights in Sri Lanka’ at page 43. Article 46 (1) of the Constitution as amended by the Nineteenth Amendment fixes the maximum number of Minister of the Cabinet Ministers at 30 and the total number of non-Cabinet Ministers and Deputy Ministers at 40. However, Article 46(4) provides that where the recognized political party or the independent group which obtains highest number of seats in Parliament forms a National Government, the number of Ministers in the Cabinet of Ministers, the number of Ministers who are not Cabinet of Ministers and the number of Deputy Ministers shall be determined by Parliament. It has been argued that as a National Government had been formed after the General Elections of August 2015 and now that the United People’s Freedom Front led by President Sirisena has withdrawn from the same, the Cabinet of Ministers stands dissolved. However, Mr. Ranil Wickremesinghe was appointed Prime Minister after his United National Party won the highest number of seats at the General Elections held on 17 August 2015. President Sirisena appointed him as Prime Minister on 21 August 2015 as the Member of Parliament who in his opinion is most likely to command the confidence of Parliament. Soon thereafter, three Ministers were appointed on the advice of Prime Minister Wickremesinghe: Messrs. Mangala Samaraweera, Tilak Marapona and Wijedasa Rajapakse. When the new Parliament convened on 01 September 2015, Mr. Wickremesinghe was already Prime Minister. On 03 September 2015, a resolution was introduced in Parliament by Prime Minister Wickremesinghe under Article 46 (4) to increase the number of Ministers as the United National Party had formed a National Government. The resolution read as follows: “Whereas the United National Party which obtained the highest number of seats in Parliament has formed a National Government, Parliament determines in terms of Article 46(4) of the Constitution of the Democratic Socialist Republic of Sri Lanka that the number of Ministers in the Cabinet of Ministers shall not exceed 48 and the number of Ministers who are not Cabinet Ministers and the number of Deputy Ministers shall not exceed 45.” The resolution was passed. The resolution that was passed did not mention the United People’s Freedom Alliance. In fact, not only the United People’s Freedom Alliance but the lone Member of Parliament who was elected from the Batticaloa District on the Sri Lanka Muslim Congress ticket also joined the National Government. Other members of the Sri Lanka Muslim Congress were elected on the United National Party ticket. Thus, Mr. Wickremesinghe was not appointed to the office of Prime Minister upon him becoming the Member of Parliament who in the President’s opinion is most likely to command the confidence of Parliament after the United People’s Freedom Alliance joined the Government. He was appointed on the strength of his own party’s strength in Parliament. Thus, the withdrawal of the United People’s Freedom Alliance has no effect on the appointment of Mr. Wickremesinghe as Prime Minister on 21 August 2015. Further, the formation of a National Government is exclusively a matter for Parliament. The only consequence of a National Government ceasing to exist is that the number of Ministers goes down to 30 and total number of non-Cabinet Ministers and Deputy Ministers goes down to 40. In any case, the National Government continues as the Sri Lanka Muslim Congress continues to be in it. From the above, it is clear that the purported removal of Mr. Ranil Wickremesinghe from the office of Prime Minister and the purported appointment of Mr. Mahinda Rajapaksa as Prime Minister are unconstitutional and all subsequent steps taken are void ab initio. 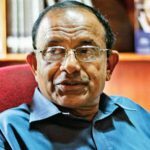 Jayampathy: The Constitution of Lanka is part of the problem and NOT the solution to the political legitimacy and leadership crisis in the country today. Our crisis lies in the Culture of Corruption, impunity and immunity for Financial Crimes and Hate Crimes by Parliamentarians. Parliament is now a “Cesspit” of Corruption, horsetrading and rent-seeking. Bondscam Ranil and his buddy Mahinda Jarapassa (who he protected for 3 years of Jarapalanaya), are responsible for this, so no point expecting a Cesspit of Corruption to deliver democracy, without changing its inmates! There needs to be new elections now. More important, both Ranil and MR must be banned from contesting, and an age limit of 68 for all politicians to contest. Time for younger generation to take over and clean up the mess caused by this doddering generation of intellectually and morally bankrupt politicians and lawyers who have ruined Lanka. Constitutions reflect the interests of the people who made them. Jayampathy, your useless New Constitution process which has dragged on for 3 years continues to Distract and divide the masses, so that Bondscam Ranil could turn the Parliament where he loves to strut into a Cesspit of Corruption! Time for you all to go home and SHUT UP! Jayampathy and his likes got luxury SUVs for nothing. Ranil was elected by fiat and fired by fiat. Sirisena’s legal advisers have obviously taken him for a right royal ride. Karmic retribution comes in the most unexpected ways. It is clear from the article that the act of removing RW is unconstitutional; however, MR will not flinch from subverting the law to suit his whim and fancy. He cares two hoot about the rule of law and he will lean on the CJ to rule in his favour! Just forget the crooked war criminal for a second, how will you convince the blind loyalists, including the so called academics? I see what you are say! I am totally flabbergasted at seeing Dr LF’s article! I am saddened to learn that he facilitated the issuances of university doctorates to the Rajapaksas! What is the difference between LF and Dayan Silva? Let’s wait and see. Assumptions don’t serve any purpose. There are wheels within wheels rolling at high speed now. The outcome may turn out to be very different to what most expect. You HOPE? Sirisena is lucky that he did not have to seek the legal opinion from such female oxen. It is unconstitutional according to English version of our constitution. But in Sinhala version it is clearly say that “Agamathi iwath Kara Alu th Agamathi warayek pathkala haka Janadipathige abimathaya paridi”. Unfortunately for English speaking Ranil and his high class clan, the court or any other legal institute in Srilanka accept the Sinhala version , if a conflict arise about constitution. It appears that the president can appoint a Prime Minister but he cannot remove a Prime Minster? according to Constitution. Constitutional experts please clarify. We need some sort of Magna Carta …or Bill of rights in Sri Lanka ..
M&s or any Sri Lankan executive president behave like kings in mddile age in England .. The kings in England thought they have Divine rights to tax; to own the country ? Do MR and M&s think that they own Sri Lanka ? Why they behave naively on this issue of power greed? Shame on M&s he behaves in an uncivilized way..
You can not behave in undemocratic way to get power . The world is watching us ? M&s and MR will be responsible ..
ALL know this is unconditional to dislodge PM.. They feared that they can not win the majority in parliament.. I think that the words “who in his opinion is most likely to command the confidence of Parliament.” was purposefully included in the constitution to place the decision of the President above any possibility of dispute. Who is to say what the Presidents actual opinion is, if he says that in his opinion (perhaps misguided) MR is ‘most likely’ (also, future tense? This is a work of art) to command the confidence of parliament? u dont need to be a lawyer to understand it. Pleaes read the amendments. I am not a lawyer but a post graduate in Natural science. I think it is unconstitutional. And those who argue that people’s opinions shiould be considered. For that purpose only we held elections and their representatives were sent to the parliament. Else, please let us know for what purpose we need to have held elections by spending several hundreds of millions of poor tax payers funds ? Below link will provide you with both langs. I’m not a lawyer either yet I’ll clarify this to you. The constitutions clearly say that Prez should be a member of cabinet and he must be the head of Cabinet. National government scenario is new to us which we had a President already by the time general election called and UNF, SLFP and SLMC formed a national government so that president’s executive authorities don’t “null and void”. UNF, being the party to hold majority seats in the parliament (106) which also makes RW the PM. In the other words, the RW became the PM with the confidence of majority of the parliament and shall be removed in the same way. The cabinet only dissolves when SLMC leaves the National Government and SLFP leaving doesn’t impact at all as it was not the Political party with highest seats in the alliance. Unless MR can prove the confidence of the Majority in the Parliament, his appointment and appointments following is totally unconstitutional which also expose the president for a impeachment. Mr. N.Ladduwahetty is not correct. Because the appointment of the former President as PM did not take place following his obtaining a majority vote following an election in October 2018. Whereas Ranil W became PM following elections in 2015 and after having satisfied that he had the required majority in Parliament to command confidence under the constitution. That is why President My3’s Act in dismissing Ranil W is unconstitutional. Ladduwahetty is a descendant of Tamil chettiar (trader) who sold laddus (Sweetmeats), but now he has declared himself as a pure bread Sinhalese. So what is your problem if he wants to be a Sinhalese? If Demalu follow Ladduwahetty, problem solved. 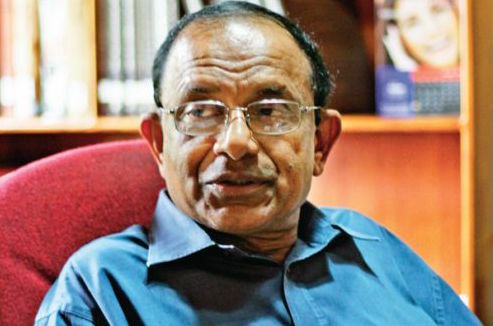 I would like to hear Dr Jayampathy Wickramaratne’s opinion on the constitutionality of the raw interference in Sri Lanka’s internal affairs by other nations, through propaganda, financing, official statements and a myriad of other covert operations. A case in point is India’s threat against Sri Lanka in 1984 which brought in the IPKF, and the pressure again to stop the war in 2009. There is also the planned failure to prevent the smuggling of arms to terrorists, terrorist fund-raising and support towards various actions detrimental to Sri Lanka. We could also include the “training” that Mr. Ranil Wickramsinghe publicly stated he received in the United States, training on how to overturn MR’s government. First you provide your evidence about your allegations about involvent of Indian raw in SL’s affairs for Dr. Jayampathy W to consider a reply. The silly dance of one illiterate nut causing heartache to all the citizens. He should be pulverized so that such things do not repeat. I am also able to read your interlinear inscriptions just as Senarath Paranavithana did many years ago. Wahabi, Abraham, ….. (unclear) …….. Vell..a, ………… I admire VP as much as I do Mahinda, … … I am … KASmaa…. K .Sumana…… the official b***s carrier to Dr Mahinda. Your view on this matter has no credibility because of your vested interests in keeping the Bank Thief in office. Would like to add that this kind of decisive management action by the Executive – barely possible after the S19 Amendment – would not have been possible under the Federal constitution you tried to sneak in on us . Do the right thing. Roll up and shove your federal constitution up where it fits best, and hand over your MP post you never deserved and go home. Looks like this analysis is based on the English version of the Constitution, which supersedes by the Sinhala version! A good try! The constitution is first written in English in order to prevent ambiquity and what is written in Sinhala has no basis! Please read the last statement in the Constitution. Jayampathy you are a Constitutional Clown! Please get lost and take Bondscam Ranil. RW has failed the long suffering people miserably! Your 3.5 year old “New Constitution” show ardently supported by various Colombo NGOs with endless conferences and foreign Xperts on Constitution-making is part of the problem, rather than solution to the crisis in Lanka, the root of which is the political culture of corruption, impunity and immunity for financial crime and hate crimes by politicians. Time has come for elections not horse-trading in the parliament which is a Cesspit of Corruption, and we hope JVP wins big! Both BondRanil and Mahinda Jarapassa should be banned from holding any office or running for elections. There should be a age limit of 68 for ALL elected politicians. Time has come for the younger generation to take over and clean up the mess made by the corrupt present generation of doddering intellectually and morally bankrupt politicos. Also, Jayampathy you have been playing Constitutional and de-limitation games these past 3 years to distract people and keep the country DIVIDED. The New Constitution process, endlessly dragged on has kept the country DIVIDED and become a legitimacy clause for the bi-partisan UNP-SLFP/PP corruption racket that turned parliament into a Cesspit of Corruption. Bondscam Ranil turned parliament into a Hub or Cesspit of Corruption with duty free SUVs and foreign trips for the politicians under the guise of national reconciliation or fake reconciliation, while protecting Mahinda Jarapassa family from corruption investigations. While this circus was on-going Sri Lanka was being asset stripped and sold off to Bondscam Ranil’s foreign friends- Washington, Japan, India, China etc. If you say so please read the 19th Amendment and kill yourself by your own. Not by one paragraph but in many ways President has violated the constitution. 1) Yes, as Dr Wikramaratne says, constitution has contained nothing about the dismissal of all the cabinet ministers once one coalition constituent is withrawn. 2) And 19 Amd clearly state when a PMiership is no longer valid. Please if you are not an illierate. We dont care even GLP took part in the meeting abusive president held with foreign dignataries yesterday, we the lankens that respect law and order would futther articulate that Pres Sirisena has violated the constitution as no other president did sofar. Surely, in two months, President has to leave his office, if a no-confidence would be brought – there over 2/3 of majority will kick him off no doubt about that. Then we can go for new elections. To me this doesn’t appear to be a constitutional crisis, but a violation of the constitution. A constitutional crisis usually refers to a situation where the constitution fails to, or is unable to, resolve a situation. This doesn’t seem to be the case here, as it constitutional position appears to be very clear. Not sure why this is not being taken to the supreme court. If I would have been sent to protect us from evils, I should never try to do the other way around but to work hard … dieheard to achieve my goals in that line. Likewise, we appointed Mr Srisena as our president by facing all the difficulties we had to in 2015 , in order to punish the high profile cirminals that failed let alone to protect the basic human rights by end of 2014. Now Sirisena himself has been caught by those thieves for their surivival and escape from on going high profile investigations. Sirisena has made U -turn just because he has been infected by the same POWER GREEDY syndrome which his president Rajapakshe faced by end of 2014. This seems to be an incurable pathological problem as we see it today. No matter if there had been some difference between PM and President, there has been no autohrity vested upon him to sack the manner PM has been thrown away on the 26th Oct.
On the very day itself they the cabinet ministers had passed some pacts having assembled in parliament. So there had not been such violations at the time those pacts were passed. So, on that day Paliment led by Speaker proved that PM has not been changed by his performances. However at the end of th eday itself, President to declare that PM is sacked with new appointment made to his grand rival Mr Rajapkshe is seen as unthinakble and against high moral values. Here the president has violated his power to all appalling levels being caught by the tricks played with him by most abusive his rivals. Law must be interpreted/ argued in the courts of law rather than in a forum; take it there. There are arguments on both sides of the case, Dr. JW may sport one. I understand that the Speaker has consulted the AG and the latter has opined that the action taken by MY3 is constitutional. Let us leave all the arguments of this nature to courts of law. If Ranil had a case then I believe he should have filed his papers by now. The acid test is whether MR, now can command a majority in parliament. What matters most is the public opinion and did the MY3 + RW combine at this point of time enjoy the confidence of the Sri Lankan populace? Even after the local government elections, what damage control measures did they take to build the public confidence? NONE. They were enjoying the plums and the plush of office. SAD. AG has not confirmed it to be consitituational. And please read it if have not done so yet. Dr Wikramaratne s arguments are spot on. I have been in the same view as he is. what will happen to all FCID investigations which President and his govt continued until 26 th October ? THat iwll be more likely in the near future. Both MR and RW are made victims by the wrong act done by President. According to my understanding AG has opined in the manner I have stated before. The link you have referred is the one leading to SL Embassy in the USA and that has no link to the AG’s opinion given to the speaker. Every political joker has turned the Constitution and the law to his/her advantage and no to the benefit of the people of this country who posses the inalienable right of sovereignty. That is my point. What more? The group that is responsible for postponing elections and thereby blatantly violating the sovereign rights of the people now complain about MY3 exercising the constitutional provisions in a questionable manner. What an irony! How can you take seriously a man who decides which files to forward to court and which files to put in cold storage? Don’t confuse between questionable and illegal. The President has the power to appoint the PM.The PM cannot appoint himself. However my argument is that a few so called elite from one single school ruling cannot mean democracy is alive in the UNP.And when the UNP of Ranil rules the vast majority are just ignored. The present leader Ranil’s father Esmund , virtually controlled the Lake House, the main media house then .It is history that he and the Lake House bribed MPs to cross over in the 1964 constitutional coup It was aimed at the left, mainly LSSP. NM Perera leader of the LSSP later in parliament moved to take over the lake House. Among his allegations was that directors of Lake House were committing Foreign Exchange violations by taking money out of the country illegally. Among the Directors were Gomez, Gooneratne and Wickramasinghe. I hope Jayanpathy .Wickramaratne who has identified himself with the Royal College elite is aware of the history of the Left and the Lake House. Jayampathi Wickramrathne: Everybody knows that you supporting a specific camp, and the second objective make a buck out of this. What if the PResident says We do not follow American Constitutional system nstead we follow UNITED KINGDOM Previ council or Deep State. So, we do nopt need constitution. Then if you argue, No we have to follow constituion, then what about How Ranil became PM the first time. How does he hang on to the PM post a bond thief. Dr. JW may I ask you why doesn’t the 19th amendment spell out that the president cannot remove the PM? That could have been easily included if that was an intention of the amendment. And what does “otherwise” mean with reference to the removal of the PM? Us mere mortals may not be constitutional experts or lawyers but we can read. So the power the president has to appoint the PM is conditional and limited. Hence Parliament has the supreme power to approve or disapprove. So convene the parliament and solve this problem smoothly. Anything can Happen in Sri Lanka. Politicians are Known to jump Affiliations at the drop of a Hat! or if the Powers that be offer them a Bigger Incentive in the Way of a Ministerial Position or Millions of Rupees! You can see bunch of uneducated leaders playing hell with the constitution & parliament sovereignty. Need to get clarified whether PM under 46(1) same as PM under 46(4) , similarly Prez under 18th Amendment same as Prez under 19th amendment. Both cases constitutional principles and precedents changed without resigning and reappointing the person. For me it not the date of appointment matter but has the conditions under which position appointed has been changed or not? If the conditions under which one is appointed not exist anymore how comes the position exit? This is a good example of our policy makers lack of knowledge on outcome- consequences analysis of an action. The election of MS as president and RW as PM was a coup de”tat plotted by a Gang of corrupt ploticians to protect MR who was given time to recoup. MS knew what he was doing as he was part of the axis of evil and he has BLOOD on his hand . It was a matter of time before MR was brought back and it was a bizzare argument by MS that he fired RW because his life was threatened. What is tge big fuss MS”s brother was a ganster and he was killed so MS is used to this kind of life But the real victim of all these is RW . He committed a sin trying to protect MR and now he has been punished by Lord Buddha . MS , MR and the rest of the crooks will pay for this as will the nation . I cant wait to see China being allowed by MR to threaten INDIA. Sooner the better. Mr JW you are the most arrogant self-opinionated lawyer in Sri Lanka. You were one of the architects of the 19th Amendment, basically your opinion and that of your minions. You also had dreams of being the architect of the so called ‘new constitution’ which is only fit for the dustbin. You have no moral values or the sovereignty of the nation except selling your wares to the biggest bidder for monetary gains. The sacking of RW without exploring other options, made one wonder as to whether it was a coup or not. Appointment of MR as the successor confirmed it was indeed a coup. A coup is unconstitutional. This diagnosis comes from lay-Lankans with commonsense. Thank you Dr Jampathy Wickremaratne for supporting our contention with academic arguments. Ranil Wicramasinghe being a lawyer himself could easily go to Supreme Court to clarify whether his removal was unconstitutional, but he is questionably hesitant, probably because he knows he has no case. It’s good to note that questioning this reluctance is questionably shunned by some local media and almost all international media. The payers supporting Ranil Wicramasinghe seem to have acknowledged that the path of least resistance for them is to create international disdain through projected chaos and set the stage for the ‘immediate convening of parliament’ to facilitate the ‘deals’ -with the dubious MPs- monetary and otherwise . Ranil probably sees the added long-term benefit of being able to cry foul in future when there is a possibility of him being investigated for masterminding of the bond deal theft of the central bank a few years back, and the more recent development – the Sirisena assassination case. @Jayampathy: There is an error in Jayampathy said about the swearing in of three Ministers. It was D M Swaminathan and not Tilak Marapana, who became Minister on August 24, 2015. The reason behind the separate swearing in of DMS along with Mangala and Wijedasa was the visit of the then U.S. Assistant Secretary of State for South and Central Asia, Nisha Biswal, to Sri Lanka the next day.